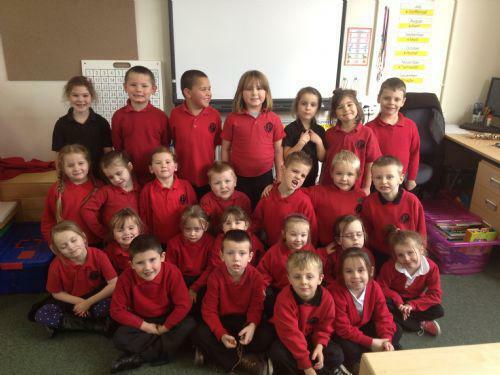 Welcome to our Year 1 class page! Please browse and keep checking our page for updates about what we have been learning and all the exciting things we have been doing! Our topic this term is ‘If You Go Down To The Woods Today’. We will be learning all about our outdoor environment, different creatures and habitats, materials, sources of light as well as lots of other exciting things! We will be learning through a mix of structured activities, guided and independent play in both the indoor and outdoor environments. PE - a quick reminder! Our PE lessons are on Wednesday and Friday. Please can you make sure your child brings in PE kit (including trainers) to wear on these days. You may find it easier to send in the kit on Monday and then have it home again on Friday. Thank you for your help! This week we read the story of The Little Mouse, The Ripe, Red Strawberry and The Big Hungry Bear. We thought about how the characters were feeling and what disguises we would use if we were trying to disguise something. We practiced our spelling words and how to use capital letters and full stops. We have also been continuing our work in maths on addition and subtraction and some children have investigated hundreds, tens and units. We have been using the dice to make sums - thinking about which numbers are bigger or smaller and how to help ourselves when we get stuck. This week we did a lot of preparation for sports day on Wednesday - which was a great success! The children ran some fantastic races and had a great deal of fun. We were all very proud of how the children participated and worked togther in the team events. Well done to all you Mums and Dads who took part in the parent's race; who knew what athletes there were out there?! There are some photos of the children with their certificates and medals in the gallery below. We have also been working hard on our Maths skills; Bingo has been used as a good tool to get us adding and taking away and counting in 2s, 5s, and 10s. The children have been making their own Welsh books in the Creative Area using the Welsh picture Dictionaries. They have remembered lots of Welsh words! What a busy week! We have been working on our skills in telling the time to O'Clock and half past. We are getting very good at this! Why not ask your child to explain to you how the hands of a clock work and how we know when it is O'Clock or half past the hour? We have also been exploring the different sounds we can make when you put certain letters together. Our focus this week was "ch". We had a story about Charlie Chimp whose favourite foods were cheese, chocolate and chicken! Can your child remember how to make the "ch" sound? Some children also examined "_ight" words in their Guided Group Reading session. These are a bit more tricky to think of but the children came up with lots! We have looking at the Welsh picture dictionaries this week and making our own books about what we might find in the woods; "Yn Y Coed". The children really enjoyed finding out new Welsh words and learned some interesting ones including Mrs O'Neill's favourite, the Welsh word for Owl which is Gwdihw - it sounds like the hoot of an Owl! We had a great time at Margam Park on Monday! We met lots of different animals in the farm including a turkey with a very funny face! The baby goats were very cute, too. We had lots of exercise in the big play area. After lunch (always a lovely part of a school trip!) we went to the pond area and investigated all the animals living in and around the area. We were shown how how to do pond-dipping and everyone had a go. We found some amazing things! Leeches, a toadpole (ask your child what it is! ), cased caddis-flies, water mites, water nymphs and much more. Check out our photos below. We have been writing about our visit to Margam Park and been busy getting our placemats ready for the Summer Fayre next Thursday. We hope to see lots of family members there ready to support our Year One stall. In maths this week we have been doing practical addition and subtraction. This week we have been thinking about getting ready for getting ready for going up to Year Two in September. We have been practicing our key word spellings and investigating spelling patterns (such as, how many ways can you make the long "ee" sound? We found; "ee" (as in see), "ea" (as in beach) "e" (as in he) and "y" (as in Mummy). There are more ways, can you think of them?! We have been using these words in sentences. Time has been our focus in Maths. Ask your child to tell you the time using O'Clock and half past! In PE we have been playing some outdoor games and improving our ball skills (inbetween the rain showers!) On Friday we did some baking; why not ask your child what ingredients are in Forest Floor Cake? It was delicious! We had busy half terms! We shared our news with the class and wrote down what we did. This week we have been doing lots of practical maths - Daddy bear had visited our classroom and left his footprint! We worked out how many footprints it would take to measure different parts of the school and then compared this with our own feet. We had to estimate first and then compare the actual number with our guesses. We have also been reading Alone In The Woods - a story about a little girl whose teddy gets whisked away in the wind to a teddy bear's picnic. We thought about how we would feel if our own toy got lost and designed some posters using adjectives to advertise our toys. Our music lessons have been based on "outdoor" songs; can your child remember the words to "Kookaburra Sits In The Old Gum Tree"? We even tried singing in a round, which was very tricky! We have been reading a non-fiction book this week all about the great outdoors - Nature Detective. It is full of interesting information about the woodland environment and the animals living there. Why not ask your child if they can remember any facts about them?! We have been writing about woodland animals and carrying on practicing counting using patterns - 2s, 5s and 10s. We have also explored problem-solving; making shelters for our toy dinosaurs using materials in the creative area. On Friday we explored our outdoor area and made posters advertising the features of our own wildlife around the pond area. We are very good at working in groups and helping each other with our jobs! Show & Tell has been very successful - the children have thoroughly enjoyed discussing their items brought in from home and asking each other questions. How nice to have a Bank Holiday weekend! We talked about our Bank Holiday news and wrote all about what we have been doing. We also read The Gruffalo's Child - a lovely story about a very small clever mouse who tricks the Gruffalo's child! We have also been using money in our Maths lessons. Can your child help you add using money? You could try doing some adding using pennies or count in 2s, 5s and 10s using the coins to help you. Our PE lessons have been fun; we have been using the small equipment to help us with our throwing and catching and playing some outdoor games. This week we have continued work writing about our visit to the pond, trying hard to sound out our words and write in sentences using capital letters and full stops in the right places! In Maths we have investigated Venn Diagrams; ask your child to explain what they are and what we sorted in class using a Venn diagram! We also practiced using and spelling "_ing" words. We thought of lots and lots of them! We have been working very hard this week! We have been writing about how we know it is Spring time and have visited the pond to check out the fish that have arrived. We have been subtracting in Maths and practicing spelling our key words. We are very proud of winning the attendance cup! This week we are reading The Gruffalo and doing some written work about the story. We are investigating woodland creatures, ordering numbers and carrying on our work with reading, phonics, counting and speaking & listening. We have even managed to get out in the sunshine and make the most of our outdoor area! We will upload some photos shortly. This week we have been recording our news from the Easter holidays. We are working hard to sound out our words and write sentences a little more independently. In Maths we have been making 6 and estimating numbers of objects. We have been thinking about our feelings; when we feel happy and sad and how we can help others who might feel lonely. The National Literacy Trust Give your child the best possible foundation in speech, writing and reading skills with Words for Life. This website provides parents with fun activities, tips and recomended books to read with your children. Woodland Trust A great website that has lots of useful activities and information. ICT games website A fun website for parents of young children with Literacy and Numeracy resources.